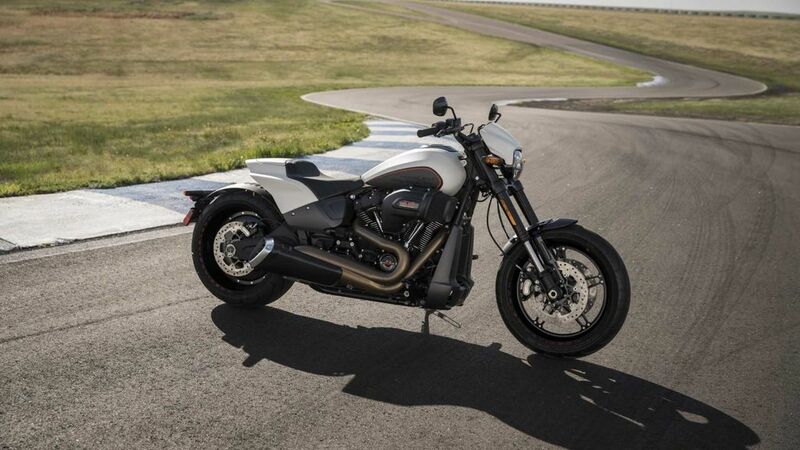 A Harley Davidson which can go fast and can even lean into corners, sounds unusual right? Well, that’s what the new FXDR114 has been designed to do. The long drag inspired motorcycle has been built around on a Softail platform which HD has reworked on last year. The HD FXDR 114 is simply a minimalistic and lightweight drag styled bike. Powered by a Milwaukee-Eight 114 engine which happens to be the most powerful engine bolted to a Softail chassis the engine has been retuned particularly for this motorcycle. 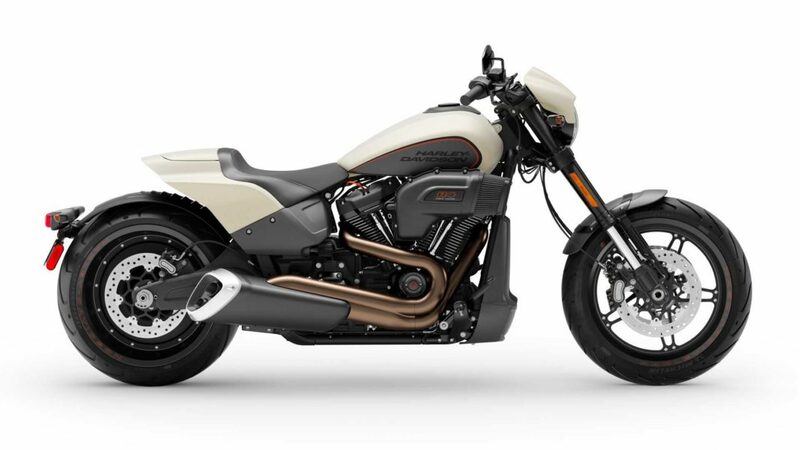 As far as the styling is concerned just like we already mentioned above the FXDR 114 is a modern day Harley. 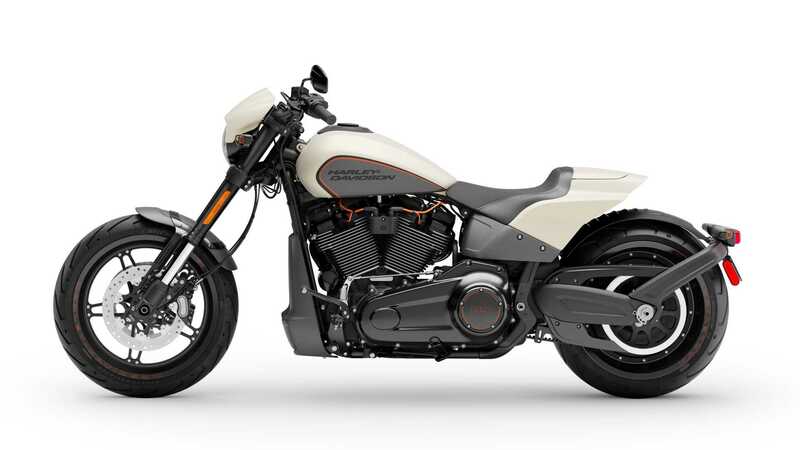 Brad Richards, Vice President of Styling and Design said that the motorcycle gets a raked and inverted front end while the massive exhaust is positioned perfectly in a proportional contrast between the wheels and the clipped rear tail profile. The motorcycle also highlights some important technical elements like aluminium swingarm, fully integrated digital instrumentation and exposed external suspension adjuster. The FXDR 114 gets an all LED headlamps which have been positioned inside the new speed screen. The speed screen has been designed to cut the wind. Just behind the speed screen is an all-new digital screen while the controls on clip on styled handlebars are positioned within the reach of the riders. The motorcycle gets a 16 Litre fuel tank which will give it a decent range (we hope). The rear profile has been made short which has been done on purpose to keep the 240 mm rear tires exposed. 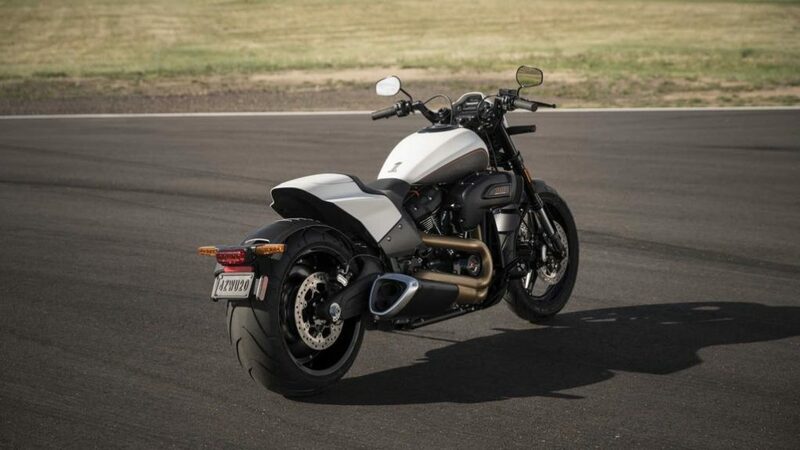 The moulded composite rear fender has been designed to hug the tire while the taillamp and number plate has been bolted to an aluminium spar which has been attached to the left side of the swingarm. Talking about the swingarm, in particular, has been constructed out aluminium while helps in reducing the overall weight. The motorcycle gets only a single seat though. This motorcycle has been designed to go fast and thus to bring it to a halt it needs better brakes too. 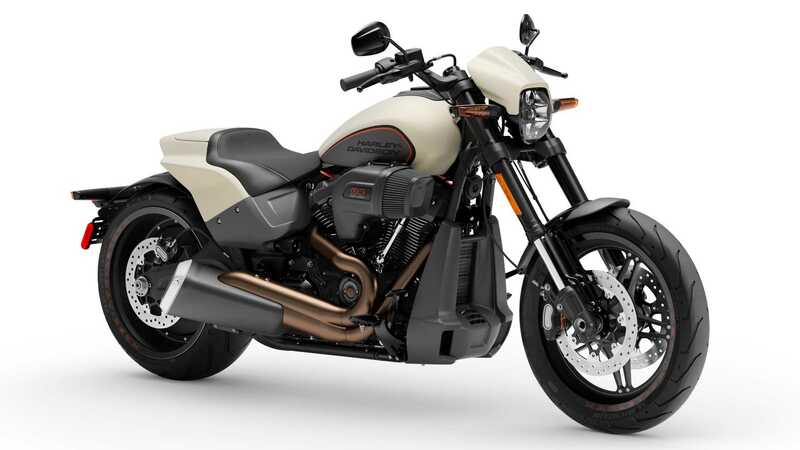 Harley has fitted dual 300 mm dual disc brakes towards the front which the rear wheels get 18-inch-diameter aluminium disc. The power cruiser also has been fitted with ABS setup as standard. 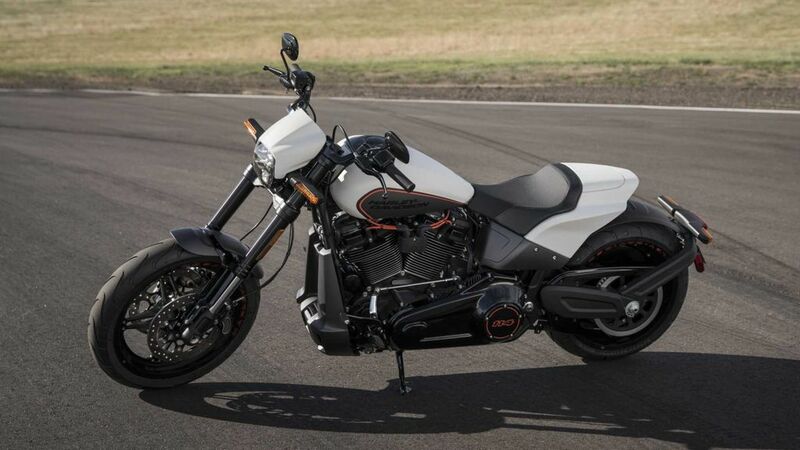 Although Harley Davidson hasn’t fully revealed the specs of the motorcycle yet but it is powered by a 1,868 cc Milwaukee-Eight 114 unit which produces about 161 Nm of torque at 3, 500 rpm while it is expected to produce around 85 to 90 Bhp of peak power. This engine gets a dual counter balancer which reduces vibrations resulting in improved rider comfort. 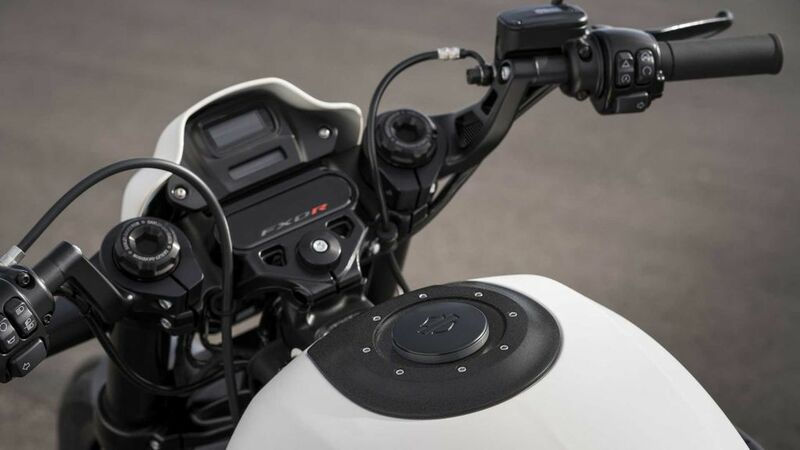 The motorcycle also features Smart Security System and a USB charging port is standard equipment. It gets a total of six color options including Vivid Black, Black Denim, Industrial Gray Denim, Wicked Red Denim, Bonneville Salt Denim, and Rawhide Denim.